Words and phrases have strong meanings. The word JUST would refer to being “treated fair” and “with respect”. The word _ IMAGINE_ stems from the Latin word that would refer to “Image” or “Picture.” PROPERTY has its origin in the Latin word “Proprietatem” that means “Enjoyment” and the “Right of Possession”. 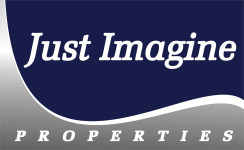 The founder and owner of Just Imagine Properties, Theo Erasmus, had the ability 10 years ago (2005) to combine and complete all these words into a Legendary Real Estate experience. Under his leadership Just Imagine Properties still manage to turn Vision, Goals and Joy into the Enjoyment and Possession of Real Estate.